‘All the colors of stars. 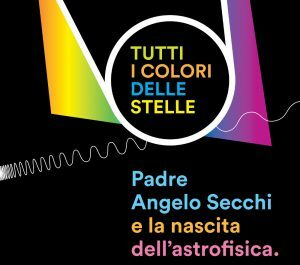 Father Angelo Secchi and the birth of astrophysics’ is the title of the exhibition organized by the City Museums of Reggio Emilia and by the National Committee for the bicentenary of the birth of Angelo Secchi SJ. Images, books, designs, manuscripts, instruments that recall the life, the research and the activities of the man considered the founder of modern astrophysics create a path that leads the visitor to the discovery of a most significant scientific personality and provides the opportunity to approach the current state of knowledge of the Universe.